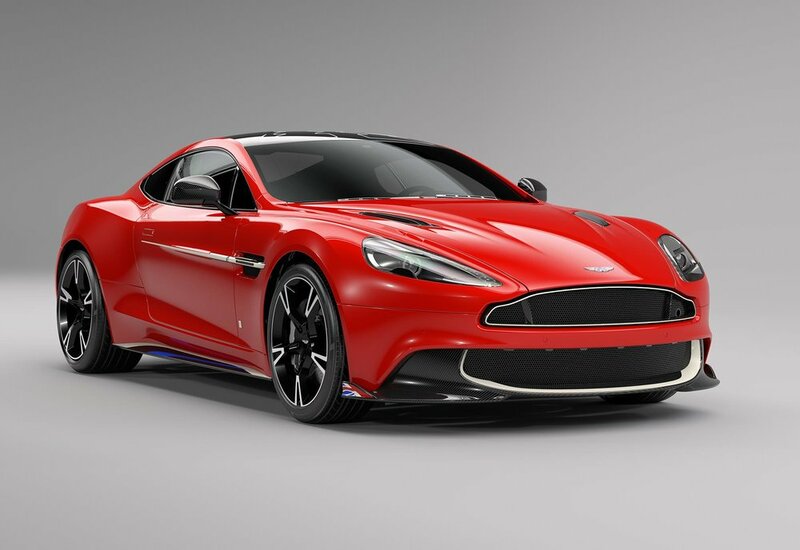 Aston Martin’s bespoke ‘Q’ department has built 10 commissioned examples of a new Red Arrows inspired Vanquish S.
Each car has special design features, hand-crafted interiors and graphic elements that draw on the visual language of aviation. Founded in 1965, the Red Arrows quickly achieved a reputation for its spectacular displays, beginning with the Folland Gnat trainer before adopting the BAE Systems Hawk in 1980. 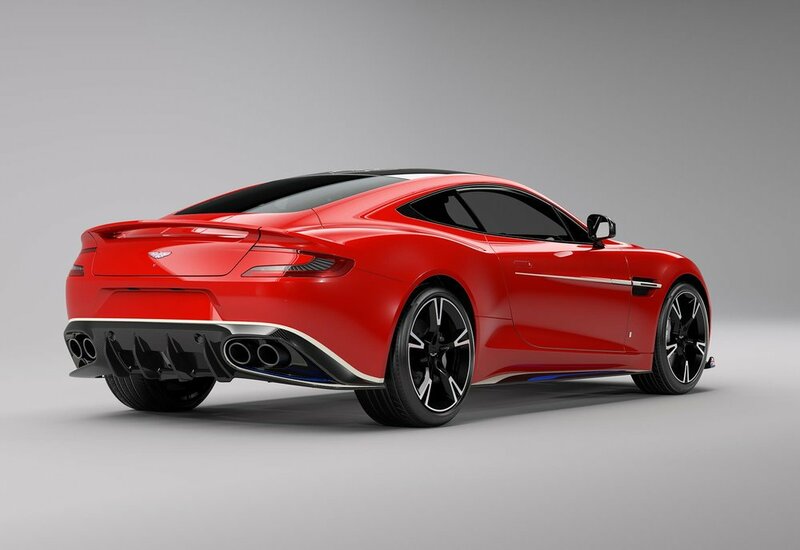 The Q by Aston Martin Vanquish S Red Arrows edition is finished in 'Eclat Red' - mirroring the instantly familiar livery of the Hawks and referencing the word 'Eclat,' the Red Arrows' motto. Subtle details enhance the bodywork and interior, from the white and blue carbon livery detailing to the white 'smoke trail' feature on the side. 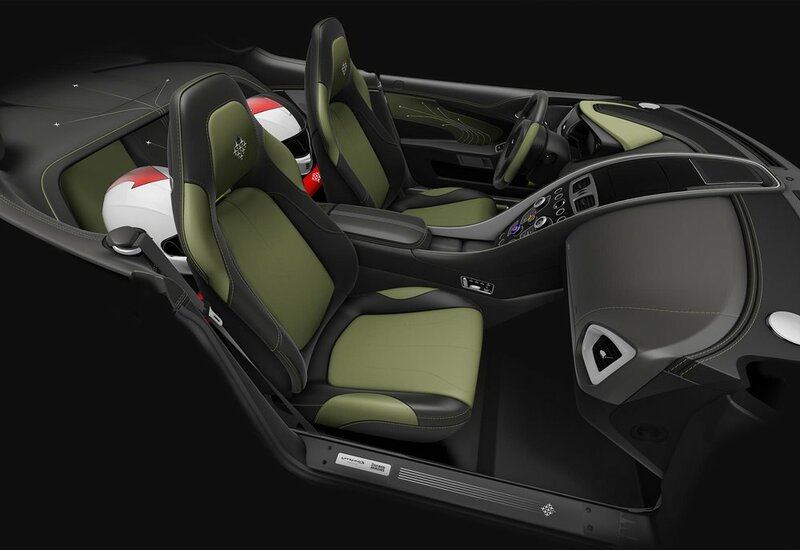 An exposed carbon fibre roof panel includes an inlaid 'charge' pattern mimicking the canopy design of the jet, while Union Jack enamel wing badges and a titanium exhaust complete the exterior package. The Aston Martin 'One-77' derived steering wheel is paired with a bespoke centre rotary toggle switch inspired by aviation instrumentation and switchgear, including black/yellow hatched design pattering on seat fold and door pulls. The door cards are embroidered with a graphic of the iconic 'Vixen Break,' a spectacular high-G 9-aircraft formation. 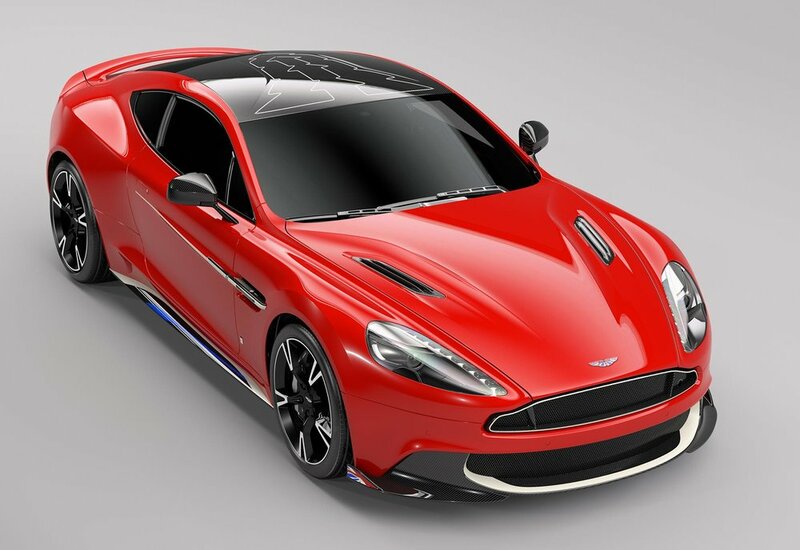 Each Q by Aston Martin Vanquish S Red Arrows owner will receive bespoke accessories that could include racing helmets, racing suits, bespoke embroidered bomber jackets and a Vanquish S bespoke luggage set, together with a die-cast 1:18 model of their car and the Hawk aircraft. A specially designed car cover and Build Book will also be issued. Of the special edition cars, the tenth model is being gifted to the RAF Benevolent Fund, the charity established to provide support to former servicemen and women and their families. The limited edition model is the third Q by Aston Martin commission from Aston Martin Cambridge, following on from last year's V12 Vantage S Spitfire 80 Edition which marked 80 years of the Supermarine Spitfire's first flight.